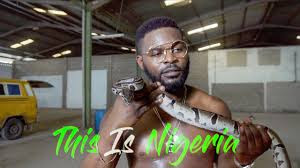 One of the biggest Nigerian artist 'Falz' reacted to the ban of his reigning song "This is Nigeria", which the NBC said contains vulgar words. 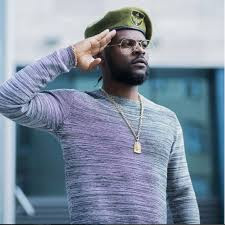 The NBC had threatened to sue the agency a day after he shared a letter which reaveld that a Radio station in jos was fined for airing the song. They call for the song’s ban had first been made by MURIC, who claimed that some ladies in hijab were dancing Shaku Shaku and they believed it was against the Islamic religion, but their pleas fell on deaf ears. However announcing the song’s ban this week, the NBC said. The song "This is Nigeria, look how we living now. Everybody be criminal,” stating that it made the song vulgar and it was in contravention of Section 3.6.1 and 3.13.2.2 of its constitution. ridiculous that the Nigerian Broadcast Commission singled out the least vulgar line in the song and ascribed it to be the reason they banned the song. It is a very simple and clean song. The only thing is that I was very blunt about the way I talk about things. I do not know maybe some messages in the song hit them and that is the real reason they banned the song. He also stated that he he does not know if there was any conspiracy to ensure that the song never enjoyed airwaves, but he was aware that the song could have hit some nerves of certain people. Falz added that his lawyers will be investigating why his song was banned. When I find out the reason behind the ban, I could ask them to lift it if need be and if they do not adhere to my request, I might have to seek legal redress,” he said.